Your success in life – both professional and personal – is determined in a very large part by how well you interact with other people. Your ability to effectively relate, communicate, influence and motivate others is a crucial skill in creating successful relationships with customers, prospects, colleagues, subordinates, managers, friends and family members. Why do we need 4 steps to achieve behavior modification? You have probably noticed it is very easy to get along with certain people. You almost instantly and effortlessly understand the other person. The communication just flows. It is a lot more than just mutual understanding of what is being said. It is as if the person sees you and the rest of the world in very similar terms. When it happens, everything is easier. Think about the last time it happened. Wasn’t it effortless and uncomplicated? Unfortunately, with most people, communication takes more effort. It does not flow as easily. You cannot quite understand where the other person is coming from, what they really want, and what their intentions are. You may also have an uncomfortable feeling the other person is experiencing the same. You know the outcomes of the interaction are not quite what you want. You may lose a sale, frustrate a customer, de-motivate an employee, or anger a friend. You are likely to feel disappointed, frustrated and even tired. It takes energy, effort and concentration. And yet, the results are still not what you hoped they would be. In these situations you probably feel there is something you could do, but are not quite sure what that is. You know your end goal – your destination – but are not sure how to get there. It is like being lost without a map. Your Extended DISC® Assessment report and support materials will provide a map to more successful interactions with others. The four main human behavioral styles. Who you are and how others perceive you. How to read other people and better understand them. How to adjust your communication style to achieve your goals. Clients need context in order to interpret their own assessment results. First, they need to understand the DISC Model is non-judgmental; there is no better or worse result. However, the results are clearly defined in a safe and universal context. Next they need a clear understanding of the similarities and differences between the DISC Styles. Once they understand the DISC model, they can begin to understand the report and identify their own DISC style. 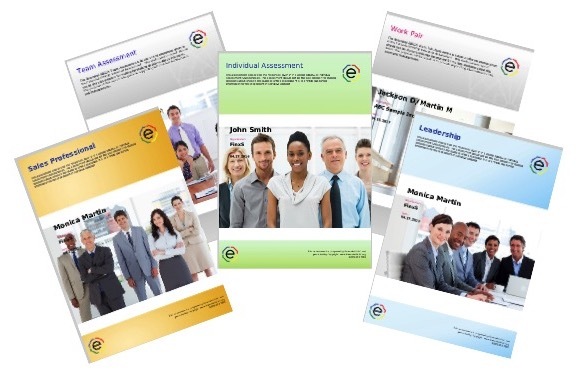 The Extended DISC Assessment is laid out in a way that makes it accessible and flexible to use. 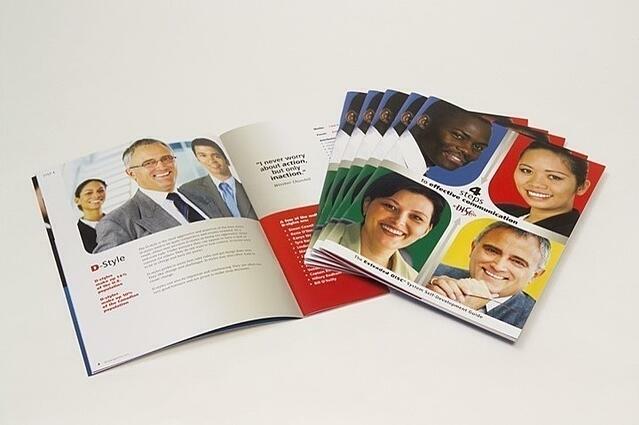 There are different types of reports that speak directly to people in different roles. The reports contain information identifying the person's style, but also shows how others may perceive this individual's style. It may also show areas the individaul is not aware of, this is called a "blind spot". Individuals are able to gain better self-awareness about how they prefer to do things and how they tend to show up in different situations. Many behavioral assessment tools are effective at Step 2; helping people in their self-discovery. However, that is usually not enough to achieve success. If the person is able to identify the DISC style in others using a simple observe, assess, and recognize approach, then they will have more information on how best to make behavioral modifications. First, we observe a person's pattern of behaviors in a non-judgmental way. 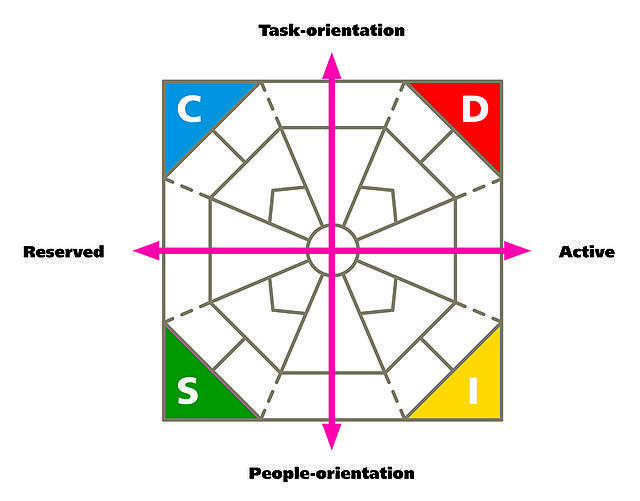 Next, we use the DISC model to determine if the person is more task-oriented versus people-oriented, and more active versus reserved. Now we are able to identify their primary DISC style. The key to identifying styles of others is to practice and be mindful of ever interaction; whether it is in person, on the phone, in emails, etc. The most important step is to modify behavior. People need to understand that DISC is not about changing who they are. In the DISC Model there is no better or worse; only similarities and differences. Often, these temporary adjustments we make are very brief. If we practice and are mindful of when we modify our behavior then it will become second nature and we will quickly see positive results in our work and daily lives. The goal of the 4 Step Process is to understand our preferred behaviors, and applying them effectively. In addition we need to be able to modify them to different situations. Ultimately, the goal is to increase our situational self-awareness and to develop a strategic behavioral response.